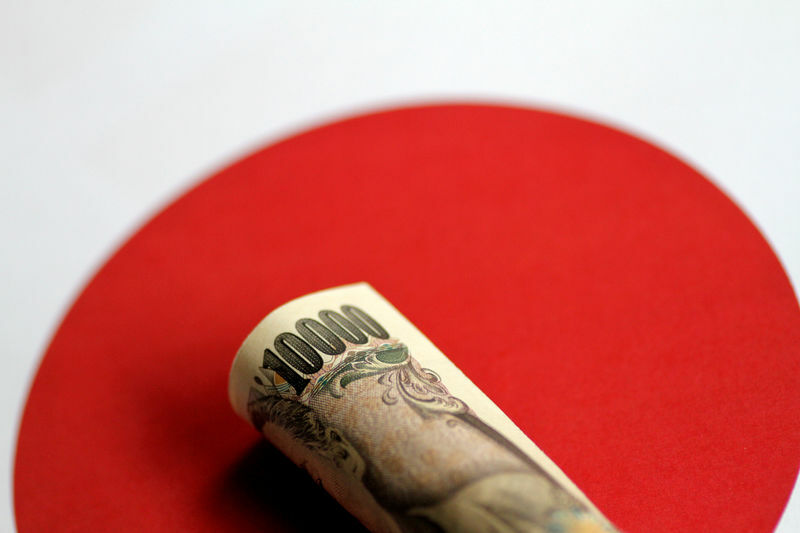 LONDON (Reuters) – The Japanese yen and Swiss franc rose on Thursday as investors sought safety following a wave of selling across stock markets, although moves in currency markets were modest and suggested investors were far from panicking. Asian stocks followed their U.S. counterparts into a sea of red overnight. The S&P 500 (SPX) declined for a sixth straight day as weak forecasts from chipmakers added to concerns about the impact on earnings from tariffs and a slowdown in China’s economy. “To a large extent until today there had been a lack of reaction in the FX markets. We are starting to see this come through…Now it’s really adding up, the fragile macroeconomy and the political risks,” said Christin Tuxen, an FX strategist at Danske Bank. The Swiss franc rose 0.2 percent versus the dollar to 0.9963 but was down marginally against the euro (EURCHF=). The euro rose 0.2 percent to $1.1417 (EUR=), away from the two month lows of $1.1378. Sterling recovered from six-week lows to $1.2912 , up 0.2 percent on the session.